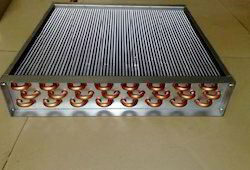 Leading Manufacturer of stainless steel heat exchanger, copper heat exchanger and brass heat exchanger from Coimbatore. 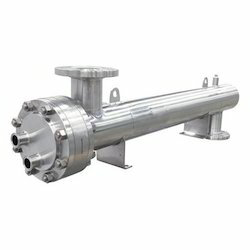 We offer a diverse range of Stainless Steel Heat Exchanger which is precision engineered by using premium quality of SS & MS raw material. These are available in diverse sizes and can be customized as per the clients’ drawings. These are easy to install that make these applicable in diverse industries. n addition to this, the offered range is checked on different characteristics to maintain its authenticity throughout the designing process. Copper Heat Exchanger offered comprises quality micro unit heat exchange tube with optimum internal and external wall finish so as to offer optimum functional usage. Further, its spiral ripple construction helps in maintaining original flow state when fluid flows through external and internal tube walls. 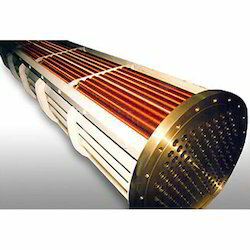 We offer a best range of Brass Heat Exchanger to our clients. These are manufactured using best quality raw material under proper supervision and available as per client specification. The exchanger is assembled with diverter valve, flow control valve, SS flex tube and Y adapter. Offered at industry leading prices, our range is widely demanded and acclaimed due to following attributes. Looking for Metal Heat Excahnger ?